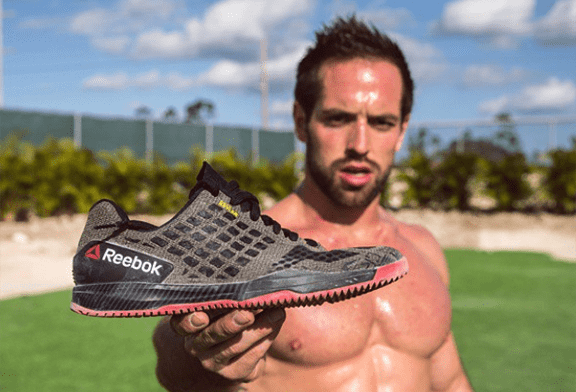 Not just the first CrossFit Open workout, also Rich Froning’s new Reebok shoes came out earlier today. When you’ve already decided to end with the gym shoes shopping obsession, there comes a new need-to-have item on the market. Shoes that were made to compete in. And they are not just your everyday Nanos, they are the by-product of Reebok teaming up with a 4-time Fittest Man on Earth Rich Froning. 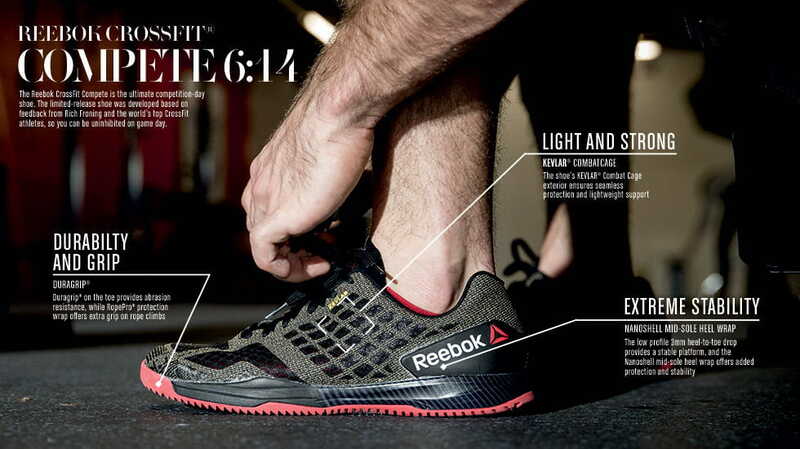 The new Reebok CrossFit Compete 6:14 shoes came out earlier today. Made with an insight from the Champion itself, Compete 6:14 has the advance features from previous Nano model. Good stability for squatting, seamless durability and extra protection for rope climbs and similar moves.